Tom Ault is the Director of Technical Training & Senior Training Consultant with ERC. Tom specializes in assisting organizations with a full spectrum of human resources projects, programs and training. Tom’s primary areas of focus are leadership development, supervisory development, financial accumen, goal setting, leading change, communication, talent management, organizational and employee development, performance management, coaching and mentoring, retreat facilitation, workforce planning, and employee engagement. Before starting with ERC, Tom managed administrative financial offices in three cities within the United States. He then went on to hold numerous positions where he interfaced with internal and external customers to implement solutions that led to cost-saving improvement initiatives totaling over $90 million. Tom’s past business and financial experience allows him to bring simple models and processes that allow participants to connect concepts and strategy to real life application. Tom possesses a unique blend of financial acumen, talent management and process improvement techniques that are valued by all participants. He has designed and facilitated a full spectrum of customized training programs for clients spanning all industries. Tom has an Executive Master of Business Administration (EMBA) degree from Baldwin-Wallace College as well as a Bachelor of Science in Accounting at West Liberty State College. 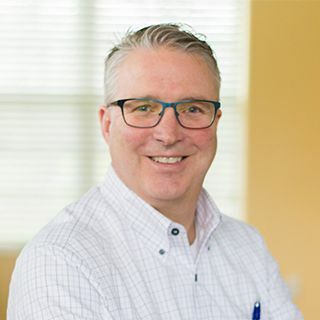 His professional experience includes the Motorola Six Sigma Green Belt program, the Indiana University Leadership Diebold program and the Case Weatherhead Diebold Sales Leadership program. Tom also holds the following certifications: Master Trainer, Myers-Briggs Type Indicator® (MBTI), The Leadership Circle Profile™360, TRACOM’s PRO Social Style®, Paradigm Learning Zodiac®, Sterling Institute curriculum, and ERC Supervisory Training.